The Independent National Electoral Commission (INEC) has reassured Nigerians of its determination and readiness to deliver credible and acceptable by-election for Kankia/Ingawa/Kusada federal constituency of Katsina State on November 17, 2018. This is even as the commission said only 193,915 registered voters in the constituency are expected to cast their votes during the exercise. The state Resident Electoral Commissioner (REC), Ibrahim Zarewa, gave the assurance during a stakeholdersâ€™ meeting in Kankia last Wednesday ahead of the Saturdayâ€™s poll. 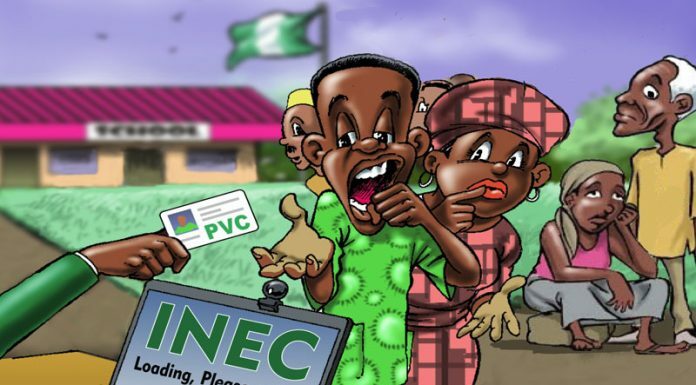 The INEC commissioner, however, said accreditation and voting would take place simultaneously in 357 polling units with a total of 193,915 registered voters. He reiterated that 1,874 ad hoc staff, including members of the National Youths Service Corps (NYSC), were expected to conduct the election across the three affected local government areas. â€œWe have distributed 190,712 permanent voter cards in the affected local government areas, while a total of 3,203 are still with us. Therefore, I am calling on the owners to come and collect them for onward voting next Saturday,â€ he said. Meanwhile, the Speaker of the state House of Assembly, Abubakar Yahaya Kusada, of the All Progressives Congress (APC); Abdulsamad Abdullahi of the Peoples Democratic Party (PDP); Nasiru Aminu of Peoples Redemption Party (PRP) and Abdullahi Umar of Youths Electorate Solidarity (YES) are jostling to fill the vacant seat.